"A real estate broker or real estate agent is a person who acts as an intermediary between sellers and buyers of real estate/real property and attempts to find sellers who wish to sell and buyers who wish to buy. In the United States, the relationship was originally established by reference to the English common law of agency, with the broker having a fiduciary relationship with his clients. Estate agent is the term used in the United Kingdom to describe a person or organization whose business is to market real estate on behalf of clients, but there are significant differences between the actions and liabilities of brokers and estate agents in each country. Beyond the United States, other countries take markedly different approaches to the marketing and selling of real property. The flowchart example "Social media activity of a real estate agent" was created using the ConceptDraw PRO diagramming and vector drawing software extended with the Social Media Response solution from the Collaboration area of ConceptDraw Solution Park. In general a broker is an independent agent used extensively in some industries. 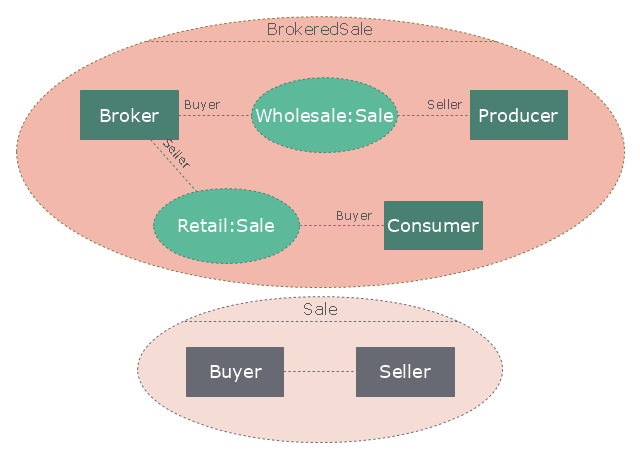 A broker's prime responsibility is to bring sellers and buyers together and thus a broker is the third-person facilitator between a buyer and a seller. An example would be a real estate broker who facilitates the sale of a property.